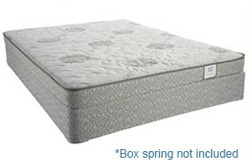 The Corsicana 600 Cushion Firm daybed mattress is a good way to go if you're on a budget. Using a simple design it provides comfort for both sitting and sleeping. The only all foam option in the daybed mattress category, the Sealy Bale IV Firm daybed mattress provides excellent contouring and a firm yet forgiving feel. 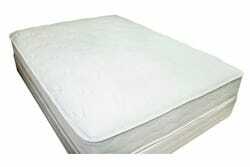 The only organic option in the daybed mattress category; the US Mattress Naturals Level 2 Luxury Firm daybed mattress is foam-free and provides excellent firm support. 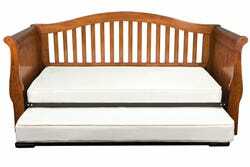 This daybed mattress is not height compatible for any underbed trundle options.